Orchids are among the most captivating plants grown by humans. Although orchids naturally grow outdoors in tropical climates, they have been adapted for indoor growing all over the world. If you grow orchids, you can enjoy their flowers, scent and exotic presence in your home. Orchids are a high value crop that is increasingly grown using hydroponic techniques that afford complete control over nutrients, temperature and other aspects of cultivation. 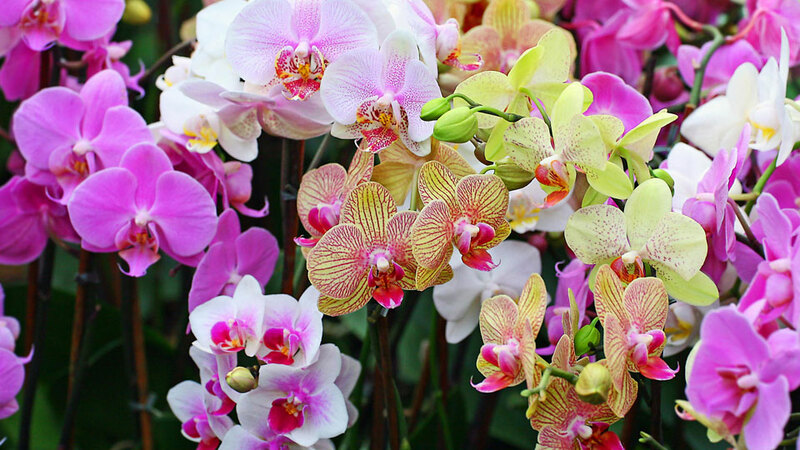 Orchids come in an extraordinary variety of sizes, colors, shapes, habits, and fragrances. There are some 30,000 pure species and thousands more hybrids. Although orchids are tropical/temperate plants, the enormous variety of species means that they have environmental differences in how they grow. Selecting varieties suitable for the growing conditions in your house improves chances of success. Phalaenopsis (moth orchids) and some Paphiopedilum varieties (slipper orchids) are especially suited for successful home growing. Flowers on these two types of orchids are very long lasting. Phalaenopsis flowers last from two to six months! Like any other houseplant, orchids require proper water, fertilizer, light, temperatures, and humidity. Plants should be grown in an east, south, or west window, but should be protected from direct mid-day sun. When growing orchids under artificial lights, it is important to provide light only as long as the natural day length. Extending day length past the natural day length will prevent blooming. Orchids are classified by the temperatures they prefer. Warm- growing orchids, like Phalaenopsis, Doritis, and some Paphiopedilum and Dendrobium, grow best in temperatures between 65-80 degrees (F). Cool-growing orchids, like Cymbidium, Odontoglossum, Miltonias, and some Paphiopedilum and Dendrobium, prefer temperatures between 55-70 degrees. Most of the remaining varieties require intermediate temperatures of 60-75 degrees. Humidity is very important to orchid plants. A relative humidity level of 40-80% is suitable. A gravel tray containing water can be placed under the plants to increase humidity levels around the plants. Make sure the bottoms of the pots are above the level of the water. Daily misting is also helpful. Frequency of watering depends on the size of the plant and pot, type of pot (plastic or clay), potting medium utilized, relative humidity, and amount of misting. Orchids generally prefer to dry out well between waterings. If the roots are kept wet for more than a few days they may rot. Seedlings or plants with fleshy roots or soft foliage usually prefer constant moisture. In nature, most orchids are epiphytic, meaning that they grow attached to trees with the roots hanging loose in the tropical jungle air. They usually receive a good rain once a day and then they dry out. This is similar to an aeroponics system. 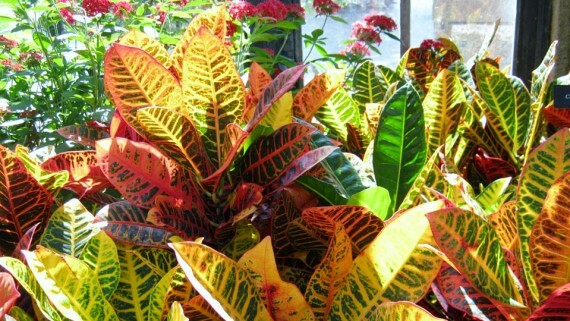 To simulate this in the home or greenhouse we use potting media such as fir bark, osmunda fiber, tree fern fiber, or special orchid potting mixes that allow good air circulation in the root area. These potting media can be obtained from an orchid supplier. In some parts of North America and Europe, orchids will grow well outdoors, but they need to be from intense sun and drying winds. Smart growers mist them on very hot days. Orchids should not be outdoors when temperatures are going below 48 degrees F.
Temperature – To produce beautiful, long lasting blooms, orchids must produce energy in the form of carbohydrates during the day when the temperature is high and store that energy at night when the temperature drops. This temperature fluctuation is necessary for orchids to bloom. Without a day to night temperature fluctuation of 10-15 degrees F, the plants will grow plenty of healthy foliage but may never flower. Daytime temperatures should range between 70-80 F, and at nighttime 50-60 F. If you have orchids that never bloom, now you know the reason. Note that the length of time per day that your orchids are exposed to light also influences orchid floral production. Nutrients – Orchids are evolutionarily adapted to survive in environments with low levels of nutrients, and many orchid growers overfertilize their plants. Presence of all micronutrients is essential, but especially useful are supplementary calcium and magnesium in fertilizer are a benefit to orchid health. Nitrogen must be present in its top quality form: either as nitrate or ammonia, low quality urea will damage orchid roots. There are too many inferior fertilizers with low quality components and improper ratios. 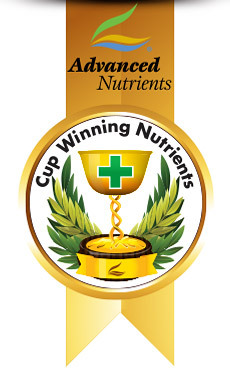 Many orchid growers are using products made by Advanced Nutrients. They also use Sensi Cal Grow and Sensi Cal Bloom, along with formulas that enhance flowering and create stronger plant immune systems. Formulas that enhance flowering include Bud Blood, Big Bud, and Connoisseur. Orchid growers report that combining these ingredients produces far better results than using other so-called orchid fertilizers. Or- just go to amazon.com and type water distillers into their search engine. You’ll see several models. Get the one that is stainless steel inside and out. It costs about $130 US. These distillers make the purest water in the world for pennies per gallon. You need to learn proper orchid watering techniques. Improper watering techniques cause many problems that harm orchids. Water on leaves, or waterlogged roots, can create root rot, leaf blight or otherwise invite bacteria and fungi to attack your plants. How much you need to water your orchids will depend on the medium in which they’re growing. The key is to allow the root zone medium to almost dry up between watering. Never let it get bone dry, but never re-water a plant that has a lot of moisture around its roots. Temperature of water is also very important; water that is too cold can cause fatal damage. Water with lukewarm water. Light – Light is a key factor in growing healthy orchids. Direct mid-day sunlight can cause plants to burn, but too little light will prevent plants from growing well and from producing perfect flowers. Leaf colour is a good indicator of the amount of light a plant is receiving, although leaf colour can also be an indicator of nutrient deficiencies. Orchids should have bright green leaves. Dark green leaves may indicate insufficient light; yellowish-green or red leaves may indicate too much light. Orchids are classified into two categories when it comes to their light preference. There are low light orchids, and there are moderate to high light intensity orchids. Low light orchids include Paphiopedilum; Oncidium, and Phalaenopsis, high light orchids include Cattleya, Dendrobium, and Vanda. Germination – Orchid reproduction is a complicated task. The difficulty lies in the orchid seeds. Orchid seeds are miniscule and “naked.” Naked means they do not come with their own food source like many seeds do, so they need a specialty nutrient source to keep them alive. The seeds are so small that they are difficult to distinguish with the unaided eye. It is best to leave germination to experts working in a laboratory. Buy orchids that are already grown and mature. If you desire to start your plants from a young age, buy small “yearling” plants. It will take a few years until you see flowers, so if you’re most interested in seeing beautiful orchid flowers, buy a plant that is two or more years old. After you have adult orchids you really love, you can try to propagate them. If you have sympodial orchids, which are any varieties except Moth orchids, you can “divide” your orchids to create new plants. Use a sharp knife, and cut a branch away at the base. There will be little bulbs located on these orchid varieties, cut-away an entire stalk and its back bulb, plant it, and pretty soon you’ll have a new plant. Some orchid varieties will grow baby plants on runners. Wait until the baby plant establishes independent roots several inches long. Then remove it from the motherplant, and plant into its own pot. There are two other ways to multiply your orchids, from cuttings, or by removing backbulbs. These methods are complicated, especially for novice gardeners. Environment – All Orchids are native to tropical areas. Although the precise climatic conditions required for survival vary from plant to plant, chances are as an orchid grower you will have to locate your plants indoors or in a greenhouse. If daytime seasonal conditions in your area are suitable to your orchid’s environmental preferences then you can, by all means, place your plants outside. Please remember that orchids are harmed by intense, direct mid-day sunlight, by dry conditions, and by temperatures below 48F and above 80F. In many regions of North America, you can’t grow orchids outdoors year round. a) Ventilation: Air movement is essential for plant health. Air movement helps evaporate stagnant water trapped during watering, where fungi and bacteria breed. Without fresh circulating air, orchids are harmed by lack of C02, oxygen and transpiration. Air movement helps orchids tolerate intense light without getting burnt leaves. Using an oscillating fan is a good way to mimic the breeze orchids would receive in their natural environment. b) Humidity: Orchids love humidity; the ideal daytime humidity for orchids is 50-70%. Insufficient humidity can stunt an orchids growth, and cause damage to the foliage. A room humidifier can increase humidity; so can mist plants with water on a daily basis. Given that there are so many varieties of orchids, you have many choices in what you grow. It’s very important to buy orchids from professional suppliers who grow healthy plants and can recommend the perfect orchids for your growth environment and needs. Always choose an orchid variety that is adapted to growing in conditions you can provide. If you plan on growing your orchids in a greenhouse you can modify the conditions to suit your chosen orchid. If you plan to grow your plants on the window sill of your house you need to choose a variety of plant that will survive there. Following is a guide to popular orchid varieties and the climatic conditions that they are suited. Here are descriptions of varieties that may be successfully grown in your home. Phalaenopsis – This type of orchid is the most popular grown today. Phalaenopsis, commonly referred to as Moth Orchids, offer everything that orchid growers admire and are the fastest and easiest to grow. They bloom for many months; their flowers are elegant and come in a broad range of colours. They have very modest light requirements, and they grow well in the temperatures commonly found in the home. There are many different varieties, all top quality. There is no specific type that is easier to grow, so pick the plant that you are most attracted to. Cattleyas – Possess huge, beautifully fragrant flowers. Until the Phalaenopsis gained popularity, these were the choice of the gardener. These orchids grow best in moderate humidity, medium to bright light, and intermediate temperatures. Their flowers are a full spectrum of colours, and shapes. Plants range in size from a few inches to a few feet tall. Cattleyas can be difficult to grow. If you are set on starting your orchids collection with one of these species, try a hybrid. They are considerably easier to work with. There are species related to Cattleyas, including laelia, Brassavolas, Broughtonia, Encyclias, Epidendrum, and Sophrontis. Paphiopedlium – Commonly called slipper orchids, these orchids are easy to grow. They present a wide range of striking coloured flowers in a myriad of shapes. Slipper orchids are noted for very long-lasting blooms. Many slipper orchids have beautiful marbled foliage, which makes them a delight to look at even when they are not in bloom. Oncidium – Oncidiums are commonly referred to as “dancing ladies”. The colour range of these orchids is commonly yellow, orange, and brown, with shades of pink and red less readily available. There are hundreds of oncidiums in existence, but only a few are regularly grown. Most are wild, and are used in producing hybrids. Oncidium relatives include – Miltonias, Mintoniopsis, Brassias, Psychopsis, Sigmatostalix, Trichopilia. Other (somewhat) Common species – Dendrobiums, Bulbophyllum, Catasetum, Cochleanthes, Cymbidium, Lycaste, Zygopetalum. The Easiest Orchids To Grow. Should You Buy A Baby Orchid Or A Mature Plant? When you buy a mature, blooming plant, you get to see exactly what the flowers look like. Many orchid flowers last several weeks, so you have weeks of flowers after you buy the plant and bring it home. Blooming orchids are usually the most expensive, because they are in the highest demand. Younger plants, months or even years away from blooming, can be purchased for a much cheaper price. Orchids in Nature grow hanging from trees in a kind of natural aeroponics system, so it’s not very natural for them to grow in pots like African Violets and other houseplants do. Orchid growers have tailored mixes to the individual needs of their plants: looser mixes for plants with thick roots; finer mixes for plants with thin wiry roots. Unlike the conventional choice of dirt, or more dirt, orchid growers use sphagnum moss, cork, osmunda, tree fern, coconut fiber, charcoal, Styrofoam, perlite, vermiculite, rock wool, and many other kinds of rocks and minerals in various combinations. The main features to look for in an orchid mix are that it must be well-aerated, not heavy, free of pathogenic organisms and disease, easily-drained and resilient. Specialty orchid pots are available at gardening stores. Orchid pots have larger holes in the bottom to promote drainage and aeration. Clay pots are the best type of pot for orchids. Their porousness brings oxygenation to roots. Because clay pots are heavy and relatively expensive, green plastic pots are a common choice for orchids that need to be shipped. These pots retain moisture around the roots, which can cause root rot. They may also transport plastic contaminants into the root zone. Wooden baskets are also a common choice for potting orchids. You can even construct your own basket at home, line it with sheet moss, and then fill with your selected potting mix and plant. Repotting should only be done under three circumstances: when the orchid roots are overflowing the pot, when the plant itself is going over the edge of the pot, or when the potting material is getting soggy and drains poorly. The ideal time to repot is when the plant starts new growth, usually right after flowering. If you do not repot your orchid at this new-growth stage you will expose new roots to damage that could drastically harm the health of your orchid. If you repot, use Advanced Nutrients No Shock and Jump Start to help the plants thrive immediately after the disturbance of repotting. These same formulas can be used when you have propagated orchids using the methods described previously, or when you have transported orchids after purchase or for other reasons. Remove old, loose, or rotted potting material. If the roots are healthy, firm, and filling the pot, put the orchid in a pot just one size large than the one you removed it from. If the roots are rotted and in poor condition, repot into a same size or even smaller container. Place the plant in the pot so it’s at the same depth as it was originally. Place a wooden stake in the centre of the pot and tie up new and old leads with soft string. Pests are not a big problem for orchids, but from time to time your plants are liable to some damage. Prevention is better than cure; many growers recommend a monthly treatment with an insecticide to prevent any infestations. If you agree that using toxins as a preventative mechanism is not worth damaging the health or yourself, your family, and our planet, then try an organic method. Advanced Nutrients makes a product called Bug Away that’s effective at preventing, and treating infestation. You can strengthen plants against insects, mildews, molds, root diseases, drought, heat and other stressors by using Advanced Nutrients Scorpion Juice, Piranha, Tarantula, Barricade and Protector. Call the Advanced Nutrients technical advisor toll-free to discuss these protectant products and how they can be used to safeguard your valuable orchids. Pests that commonly infest orchids include: red spider mite, false spider mite, aphids, mealy bugs and scale insects, slugs and snails. Red spider mites are minute sap sucking pests that feed on the underside of leaves. They thrive in warm, dry conditions. False spider mites infect the upper surface of the leaf. Although not lethal by themselves, secondary fungal infections following infestation can lead to complete defoliation of the plant. Mealy bugs and scale insects are sap-sucking insects that feed by puncturing the surface of the leaf. Slugs and snails thrive in the warm humid conditions that most orchids enjoy. The best prevention mechanism is to keep the area around the plants clean where these bugs like to hide and breed. The main access to the plant for bacteria and fungi is through already damaged areas of the plant. Dusting injured tissue with a fungicide is an excellent prevention mechanism. The spores of bacteria and fungi thrive in areas of poor circulation and high humidity. they multiply rapidly in decaying plant matter. Many diseases could attack your plants, but where good hygiene is practiced and the orchids are carefully observed all problems will be minimized. Bacterial and fungal infections are easily spread from one orchid to another. Infected portions of plants should be removed immediately to prevent spread. As you’ve seen, growing orchids is not as easy as growing tomatoes. But it can be successfully done hydroponically or outdoors. Proper temperature, light, nutrients and other factors will determine if you get beautiful, long-lasting blooms from your orchids.